STAINLESS STEEL MILITARY BALL CHAIN NECKLACE. Material: Solid Stainless Steel. 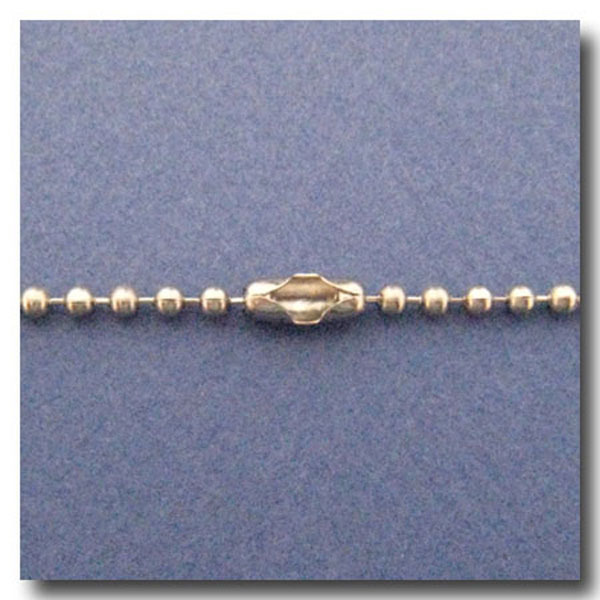 Clasp: Standard Military Ball Chain Connector. Length: 18 inches. Width: 2.4mm.